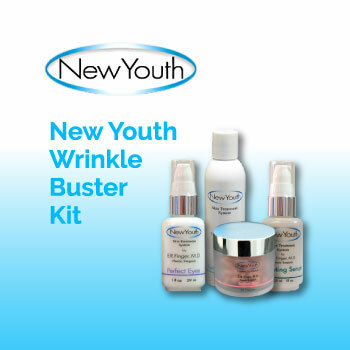 What Products are included in the New Youth Wrinkle Buster Kit? motion. Rinse well with tepid water. May be used on the eye area. Step Two: Hydrating Serum: Massage 4-5 drops into face and neck in a circular motion until absorbed. May be used around the eye area. Step Three: Perfect Eyes: Apply a small amount around the eyes and massage into skin. the forehead, each cheek and your chin. Massage into skin moving it down onto your neck. Avoid eye area. *The goal is to hydrate the skin while increasing the production of collagen, the elasticity, and to thicken the dermis and epidermis. 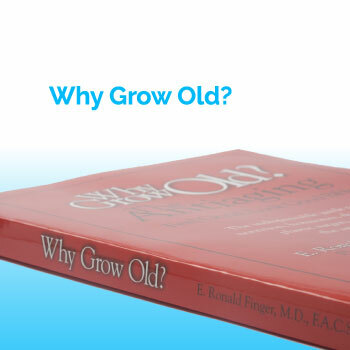 These products have many natural and whole food nutrients, anti-oxidants, and the most important anti-glycation ingredients to repair the damage from environmental hazards. The Hydrating Cleanser is designed for all skin types and all skin complexions. This unique cleansing liquid provides excellent moisturization while increasing skin surface renewal. Lemon bioflavonoids and rosemary extract stimulate and tone, while the fragrant essential oils of orange, geranium and eucalyptus refresh the senses. This product thoroughly cleanses and removes excessive oil, environmental impurities and make-up. 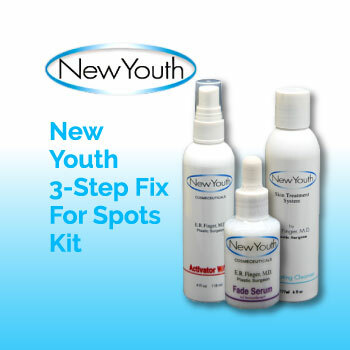 The Hydrating Serum absorbs deep into the skin, hydrating tissue from the inside out. Key ingredients hyaluronic acid acts as a natural moisture reservoir, preventing water from leaving the skin while simultaneously protecting, hydrating and regenerating skin cells. 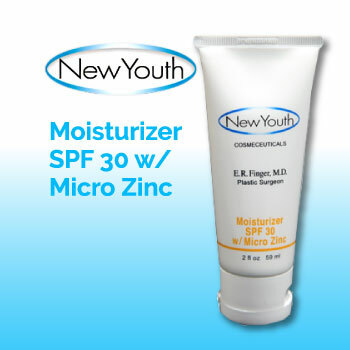 Hydrating Serum has been shown to improve dryness, itching, eczema, and rosacea. For all skin types. The Retinol Silk Capsules is perfect for aging skin and ideal for all skin types. Retinol Silk is a 0.15% retinol in a timed-release, micro sponge delivery system. By using this type of delivery system, the retinol is as effective as a prescription strength tretinoin without the irritation. 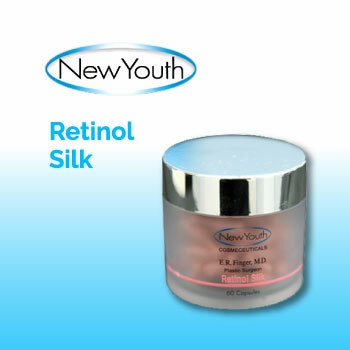 Retinol Silk helps to stimulate cell turnover, collagen production, exfoliation, and blood flow. This results in thickening and tightening of the skin and softening of fine lines and wrinkles. Cyclomethicone and dimethicone cross polymer act as an occlusive dressing. The gel-type product is contained in capsules with twist-off ends. Perfect Eyes is designed for all skin types and complexions. 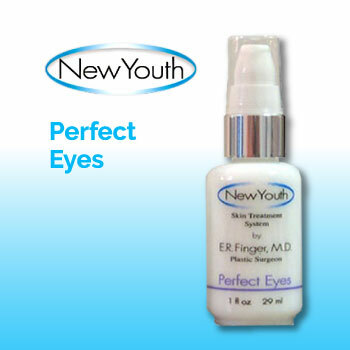 Perfect Eyes is an exclusive blend of anti-inflammatories, anti-oxidants, nutrients and other ingredients including: Algae Extract for collagen growth; DMAE to stabilize the cell membranes; Carnosine to repair damaged cells; Cat’s Claw to prevent cell break-down; and Alpha Lipolic Acid to revitalize the cells for a more youthful, glowing appearance. Perfect Eyes, applied once or twice daily, will help to diminish the appearance of crow’s feet and fine lines; minimize sagging of the upper eye lid; increase skin elasticity, tone and texture; soften and hydrate the skin; and reduce dark circles and puffiness.